No SSB $12 mil for Santander – NTUCB! BELIZE CITY, Wed. Feb. 10, 2016–The social partners—the National Trade Union Congress of Belize, representing workers, on the one hand, and the Belize Chamber of Commerce and Industry, representing employers, on the other—hold diametrically opposed views on the hotly debated loan of $12 million which the Belize Social Security Board has recently approved for Santander’s mega sugar investment in western Belize. 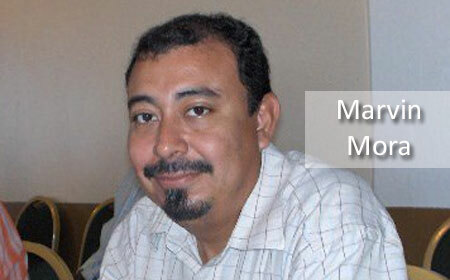 President of the National Trade Union Congress of Belize (NTUCB), Marvin Mora, told Amandala that they would convene a general council meeting as early as tomorrow, if possible, in an attempt to muster up a strategy to build public support to get the government to stop the SSB loan to Santander before disbursement. While the NTUCB is firmly against the Santander loan, the Chamber had no problem supporting it. 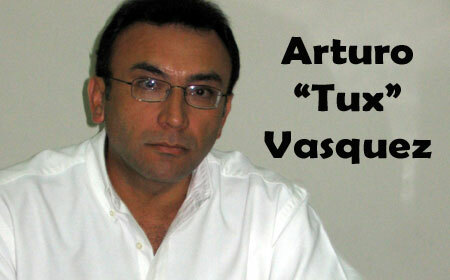 For his part, president of the Belize Chamber of Commerce and Industry (BCCI), Arturo “Tux” Vasquez, told Amandala that after having been satisfied during the due diligence phase that the Santander investment can repay the loan, the SSB must have considered it “safe” enough to proceed. Both entities, the NTUCB and the BCCI, have representatives on the SSB’s investment committee and board of directors. 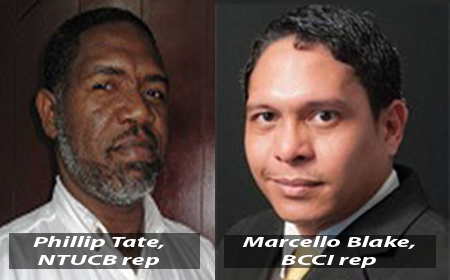 The NTUCB is represented on the investment committee by its general secretary, Rebecca Suazo, and on the board by Emily Turner of Belize Telemedia Limited and Phillip Tate, a government employee. Meanwhile, the BCCI is represented on the investment committee by Emile Mena and on the board by Marcello Blake. Vasquez told Amandala that their SSB board representative, Blake, supported the SSB loan to Santander because they were satisfied that their concerns over the soundness of the deal had been addressed. “The Chamber is a private sector entity, so we support private investments, and so from that standpoint, we would support Santander in what they are doing,” Vasquez said. He said that the SSB, through its investment committee, did its own due diligence to ensure it would be beneficial for the fund to join in the syndicated loan arrangement. Vasquez said that as he understands it, the loan is only for US$6 million, and the request was made to the Social Security Board after another bank could no longer participate in the arrangement. “That is the reason why they turned to Social Security,” Vasquez said. “It’s a matter of our future—it’s life or death! Twelve million dollars is a lot of money,” Mora argued, in elaborating on the NTUCB’s position on the loan. “I don’t want to compromise for a little [financial] return… We don’t know what the future holds for Santander, which is not an established company in Belize,” he added. Mora pointed to other issues. He said that the SSB loan is part of a bigger loan package and if it were to reach liquidation stage, the SSB would be “last in line” to recoup its losses. “We could not fathom putting workers’ future on the line when we don’t know if [the funds] will be repaid,” Mora said. He also said that there have been other loans which merited approval but which the SSB turned down. He pointed to a loan request from the Commercial Free Zone. When we asked how much the entity was requesting from the SSB, Mora said that he did not have the figure on hand. Santander, unlike the Free Zone entity, is a foreign-owned company, and that also concerns the NTUCB—the SSB’s choice to support a transnational company versus a local entity. “It’s nice if they could repay, but is it really worth the risk?” Mora questions, still not convinced. The SSB will allow time for public feedback on the loan, and Mora has indicated that he would keep us informed of efforts to get the loan approval rescinded. As we reported in our midweek edition, SSB chairman Doug Singh has said that the SSB has done its due diligence in reviewing the loan proposal, as well as the terms of the syndicated loan agreement with Belize and overseas banks. The agreement is for a total of US$96 million, with more than half now coming from financers in Belize, including Belize Bank, Heritage Bank, and Atlantic Bank, domestic and international facilities. Foreign banks in the US, Panama and Guatemala had also formed part of the financing deal. The SSB was asked to provide the $12 million after a bank in Guatemala pulled out of the deal.